It’s happening, you guys. Social number 1627383 (JK, it’s only their 20th) is opening in Mumbai, and the brand new one will be at- wait for it- Carter Road, Bandra! Seated neatly at the junction of the Carter Road promenade, this Social is all about the refreshing sea breeze, laid-back evenings and tropical vibes. Opening to the public on May 25, we can’t wait for you to see this one. A whole lot of fun. 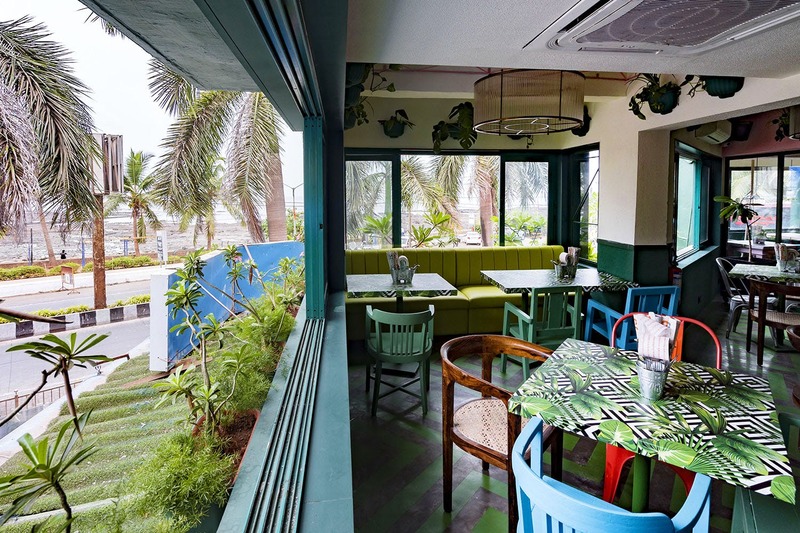 Enjoy the beautiful new Carter Road Social, which is coloured in pretty pastels and variants of green, and is going be the most ideal spot for a mid-day drink. And what better time than to launch now? With the onset of the monsoon, it can’t be better than sitting cosily by the large glass windows and watching the rain. The sunset from here is spectacular, let us tell you that. You will truly enjoy a drink or two with a complete view of the promenade and the setting sun and the crashing waves in the background. We hear they’re making new additions to their drinks menu, which means you will have more fun things to watch out for. Is there any Social that has ever disappointed you? No, never, and neither will this one. So get ready, because starting this Friday night, you’re going to have some of the most LIT parties right by the sea! As part of their CSR initiative, the Carter Road Social team has decided to donate the sales from Friday, Saturday and Sunday (May 25-27) towards the welfare of Carter Road. The money will be handed over to various organizations who look after the well-being of the Carter Road promenade. Social At Carter Road Has A Lot More To Offer Than Just Great Food!